In 2004, Matthews started a 5-year project of turning an empty lot into a legacy. He was just 14 years old. Since then, he’s become a professional mountain biker and set his sights on all types of out-of-the-box projects in the mountain bike world. Matthews is among a core group of cyclists who dedicate their time to both riding and trail building. Thanks to their efforts, we all have more access to well-designed, skill-building parks and trails. 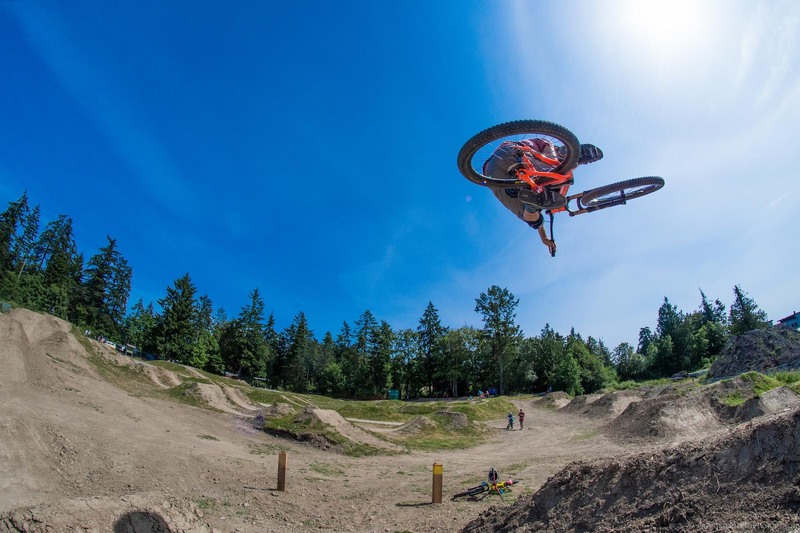 Matthews masterminded British Columbia’s North Saanich Freeride Park, where he’s put in hundreds of hours in the last decade to maintain a community pump track. 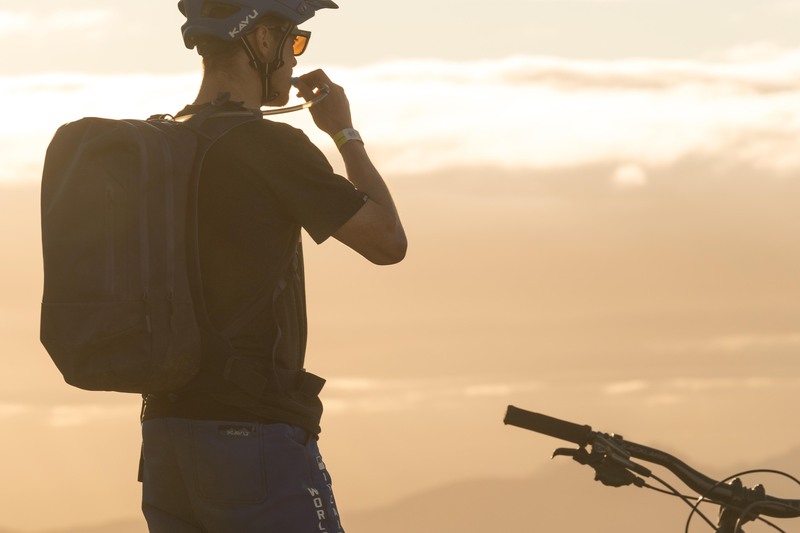 Now an ambassador for Hydro Flask and its new mountain bike-specific Journey Series packs, Matthews is an inspiring example of how one person’s actions can impact an entire community of future riders. Matthews grew up in North Saanich, a suburb of Victoria, British Columbia. There wasn’t much to do, and riding bikes seemed as good as any activity outside. When Matthews hit high school, he decided he wanted to ride his bike more. And he wanted more challenging terrain that didn’t require a lift from his parents. That’s when he knew he’d need to steer in a different direction. In 2004, Matthews started advocating alongside a local hotel owner, who had a kid who also liked to bike, for a place where freeriding wouldn’t cause a commotion. The city gave in, donating a lot in North Saanich for a bike park. But that was it — no additional investment, no maintenance money. Matthews, his friends, and volunteers took over. He and his dad road-tripped to Vancouver to obtain a free fence for the park and spent a week straight building the park’s bones. 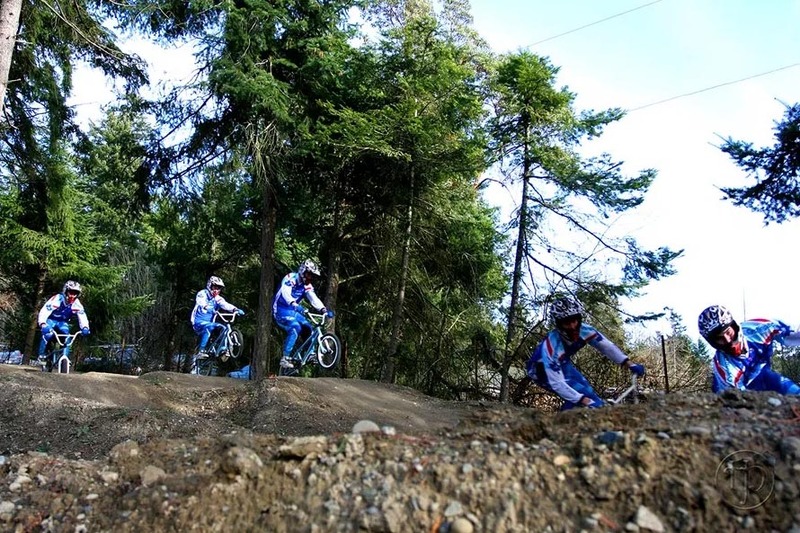 The North Saanich Freeride Park, located at 10180 Littlewood Road in North Saanich, British Columbia, has been “officially” open for a decade now. Today, the park has expanded from one jump line and a small pump track to two complete pump tracks and separate multi-line sections for beginner, intermediate, and advanced riders, plus a professional line. The progressive riding facility has something for every ability level: a pump track, rollers, gap jumps, berms, and banks. There’s handbuilt terrain designed for jumping, cornering, braking, and pretty much whatever skill an individual needs to work on. “Today, there’s a new generation of kids out there, and it’s way beyond what I thought it was going to be,” Matthews said. 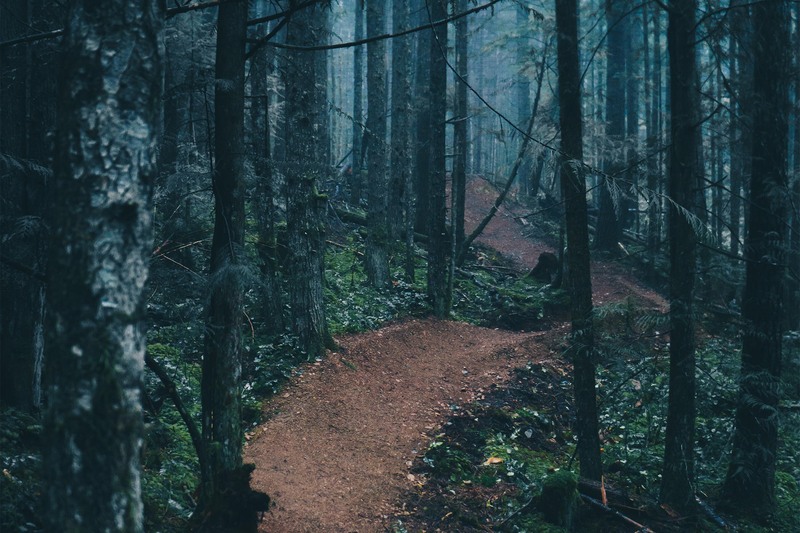 Matthews has since moved farther north, where he builds unofficial trails and obstacles in forests marked for clear-cutting several years out. 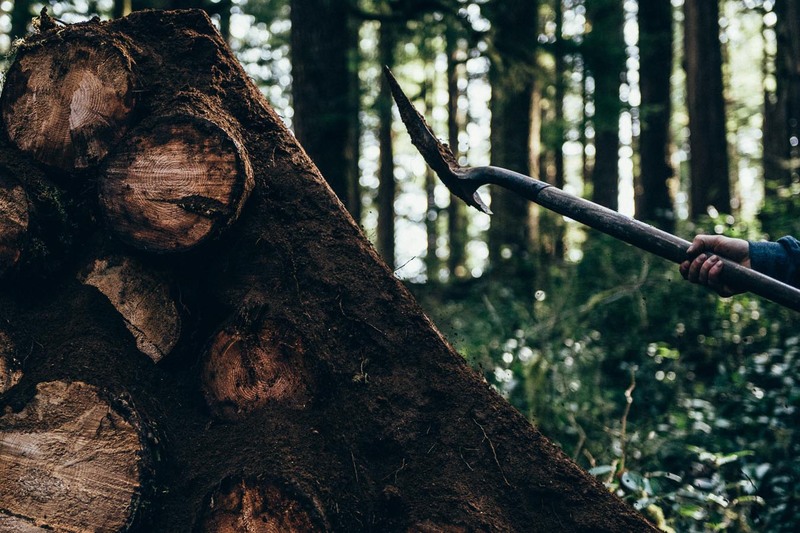 Logging companies own some 90 percent of forests in the area. But seeing diamonds in the dirt, he builds advanced twists, turns, and leaps. He transforms covert landscapes, even cut and burned woods, into personal mountain bike playgrounds. 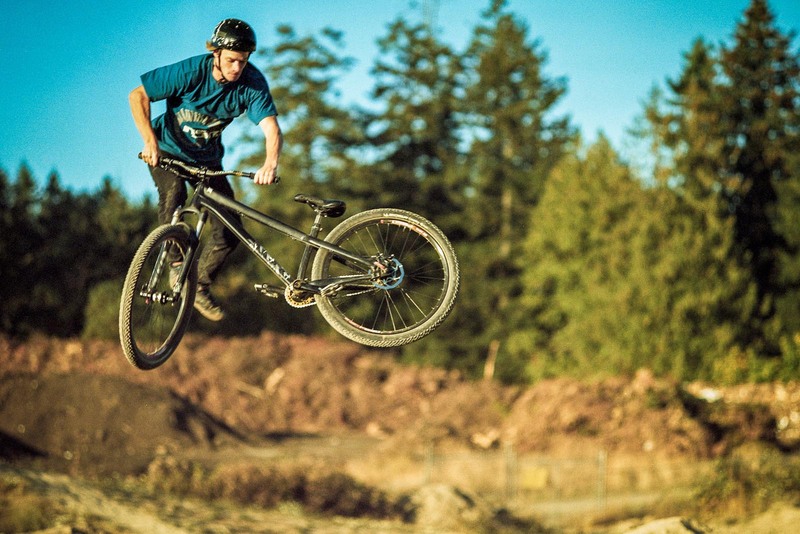 Matthews also returns to North Saanich to watch the evolution of his freeriding legacy. Every summer, he spends 2 weeks riding and helping to maintain the park. Sometimes he teaches dirt clinics to youngsters. Other days, he shoots videos of friends in the park. The footage adds to his growing library of mountain bike content from Canada and around the globe. Kids who grew up in the park with Matthews bring their toddlers. “It has such a wide variety of riding. The entire space is full. There’s something for the very beginner, like rollers for 3-year-olds, to pro riders who would have fun on big gap jumps,” Matthews said. While Matthews is still cutting his own way closer to the mountains, his heart will always be in that city lot in North Saanich. A little slice of heaven set in motion a life of advocacy for a sport that gets dirt in your sneaks — and under your skin. Hydro Flask sponsored this article. See why Mark Matthews and other mountain bikers are talking about the new MTB Journey Series hydration pack. next:VW Atlas Basecamp Concept: The Ultimate Mountain Bike Adventure Rig?